The fundamental driver of the importance of customer experience management among firms is the rapid commoditization of services industries. Service commoditization has made customers more demanding than ever. 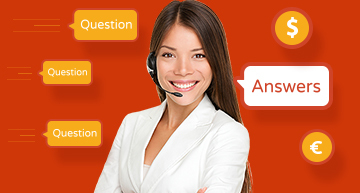 They seek delight as they travel from awareness to purchase to post-sales support. And digitization means they can easily research and change brands when unhappy. As a result, customer experience is rapidly becoming the primary driver of economic and customer value. Forward-looking firms are embracing the change by creating branded, memorable customer journeys that delight customers from first contact to post-purchase support. And it pays off. Customer experience management can boost short-term revenue and foster long-term loyalty that leads to a greater share of customer wallets. Many organizations have taken the buzzword of “customer experience” to be a new label for a current management practice. Corporate leaders often just rename efforts to improve experience at the touchpoint level as a “customer experience strategy”. By doing so, management simply reduces customer dissatisfaction touchpoint by touchpoint. While a necessary action, it is short sighted. Rather, firms need to focus on the end-to-end customer journeys. Each touchpoint’s role should be seen from the lens of customer journeys. This enables the firm to create the kind of customer delight and emotional engagement that ensures trust and long-term loyalty. Implementing a successful customer experience management program must begin with knowing where your company stands in terms of customer experience management maturity. We work closely with your senior leaders across functional areas to conduct a rigorous analysis of 13 core customer experience elements. We combine this with in-depth competitor and market analysis to develop two readiness assessments: one for the company and one for the market. Your company’s maturity assessment sets the baseline for action. We use it to develop a roadmap of initiatives and set a target level for customer experience management. We do so with our proprietary framework, which breakdowns customer experience management implementation into manageable components and phases. Working from the top down, we start with financial goals and clearly defined linkages between customer experiences delivery and financial performance. We then examine the core elements of the customer strategy – such as brand values and their alignment with value-proposition guidelines and delivery. The underlying processes needed to facilitate creation of branded, cross-touchpoint journeys need to be seen from the lens of the customer journeys. We further dissect essential elements related to organizational IT systems and administration systems. The culture of the organization and the capabilities and potential shortcomings of current staff are all critical element for delivering customer experiences. Commit. 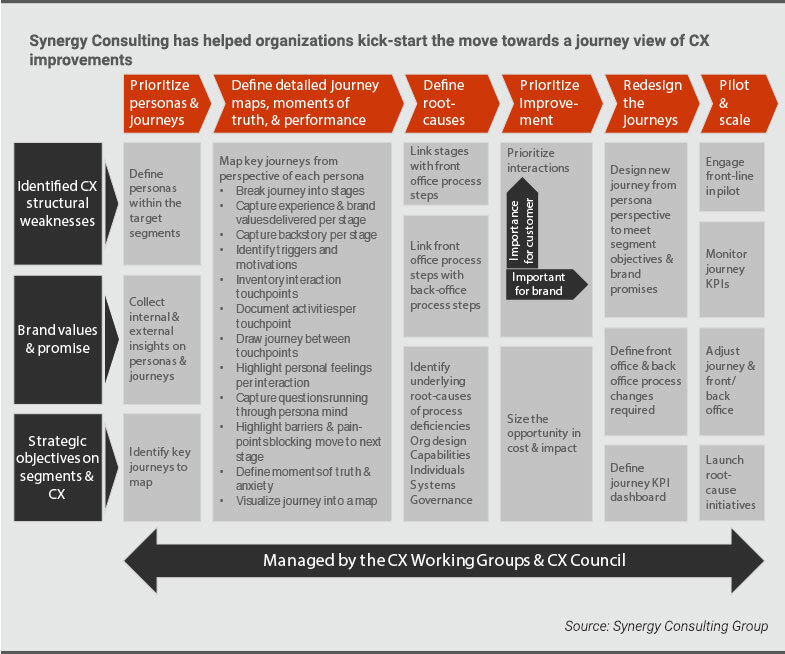 Even firms already progressing towards customer experience management maturity need to recommit to the transformation. We help you with arguments and plans for getting and keeping management consensus. We also assist in the crafting of multi-year plans for transforming the organization into a customer experience management leader. Fix the basics. We work with touchpoint owners to identify the weakest touchpoints and gain some quick wins. At the same time, we prime touchpoint owners for working cross-functionally, with training on what to expect moving forward. Build branded journeys. As this is the most difficult part of the transformation process, we work closely with corporate leaders to infuse a customer experience management mindset across the organization. We bring together division and unit heads with proof-of-concept pilots that focus on journeys that cross multiple touchpoints and functional areas. To start off, we help you prioritize personas and journeys, draft detailed journey maps, name moments of truth, define root causes for decisions, prioritize improvements, and re-design to-be journeys. With our support, you can pilot the re-designed journeys before scaling-up. Industrialize. At this stage, firms make customer journey design and management part of the organization’s “business as usual” operations. 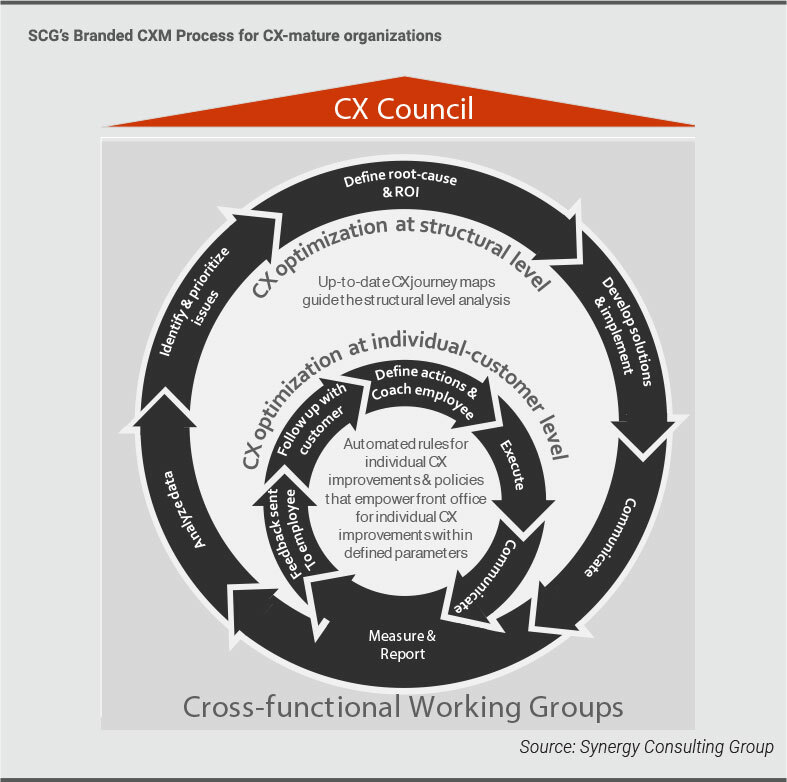 We help you institutionalize a customer experience management process. This ensures the ability to continuously monitor, manage, and improve the customer journeys in line with the brand promise, changing competitive dynamics, and evolving customer needs. 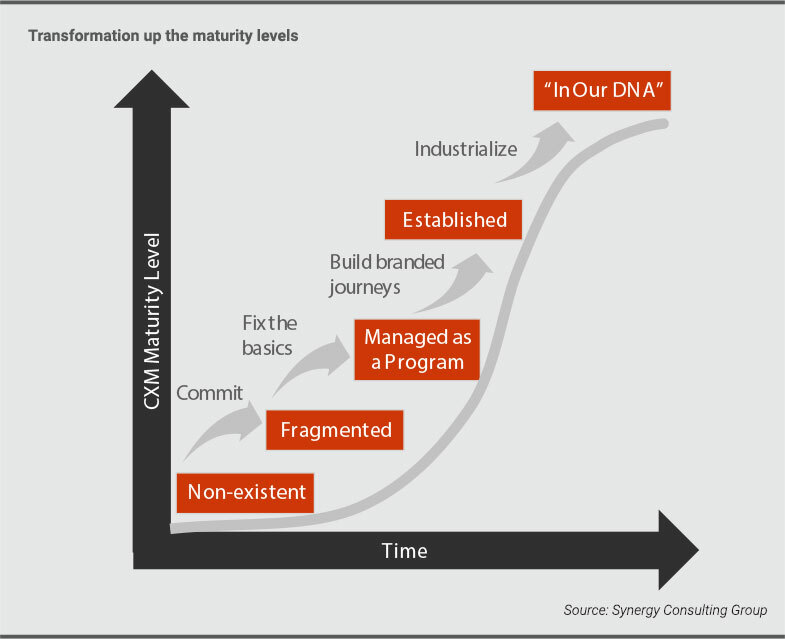 Customer experience is in the organizational DNA. 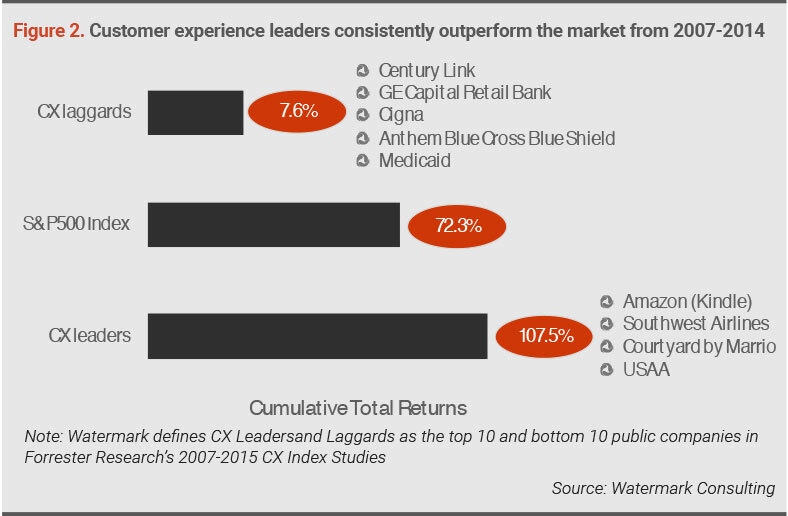 Many organizations reach performance plateaus after embracing customer experience management. While touchpoints might be mapped into journeys, but the management focus still remains focused on individual touchpoint improvement. This is typically a sign that the journey-mindset is not fully embraced. We help firms push through the proverbial wall to make the transition to full maturity. We do this by systematically assessing your firm in 13 key elements of customer experience management.